Thunder Bay Press, 9781684127580, 82pp. Become a puzzle master with these fifteen adorable manga stickering challenges! Manga fans everywhere will delight in these fifteen playful stickering puzzles featuring the popular Shoujo illustration style. Each full-color puzzle consists of a tessellated grid that includes a few clues to get you started, along with up to 100 reusable stickers to complete the design. When the last sticker is placed, you’ll have a beautiful glossy art poster that can be framed on the wall. 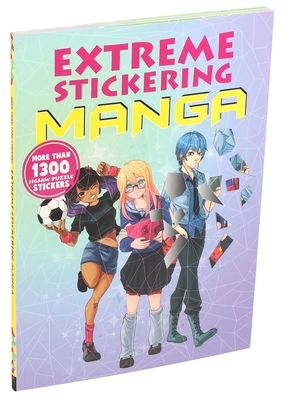 Manga enthusiasts and puzzle lovers will find hours of fun in stickering the images in this absorbing and entertaining activity book.